Update (June 6, 2015): Winner announcement! Congratulations to Instagram user @nafisa.s! Please message me through Facebook with your details. Thanks to everyone who participated. If you are like me, you tend to change your beauty routine in the summer season. Dubai's unforgiving summer heat is a good reason to go easy on the makeup you use and also tweak your skincare to some extent. To help you get through summer, I have a goodie bag that's apt for the season. Think of innovative sunscreens to moisturizers and makeup from brands such as Nivea, Max Factor, Bioderma, Pond's, Rimmel and more! Competition open to UAE residents only. Winner will be selected on random. Prize must be collected from Dubai. Good luck! @cheskacity I love to win ! Awesome beaity summer treat! Done all the steps! Fingers crossed! 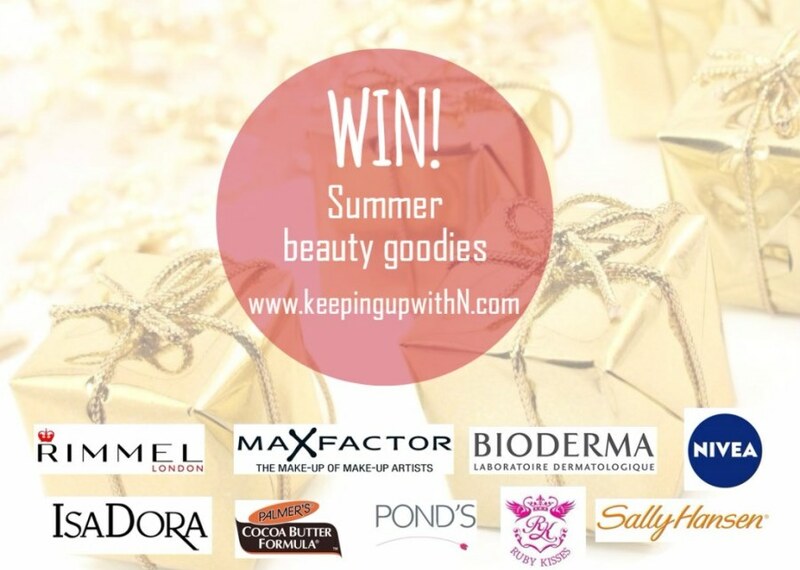 For summer beauty give away!!! Completed the steps and hope to win! followed all steps : perfectunme .. DONE ALL STEP.YUMMMMMMMY COMPETIOTION...MY BIG DREAM HOPE TO WIN..
instagram id is sincy kumaran. done again.